Now QMEE is available outside UK and USA that means in all other countries in Asia like India, Philippines, Taiwan, Malaysia and any other. First we must take a look about QMEE. Qmee was launched in 2012 by Nick Sutton and Jonathan Knigh. It is essentially a web application that rewards you for performing searches on specific websites. The application is an extension or toolbar installed on your browser. It will track all of your internet activities and show you specific ads when performing searches on the following company’s websites: Google, Bing, Yahoo, Amazon, Tesco, Walmart, Ebay and Best Buy. This is not from mine and I just found out the trick from other blog and forum on how to sign up with qmee even if you are not US or UK resident. First of all i want to tell you about qmee. Qmee gives money to users for clicking on its ads, but sadly it is only for United States(U.S) and United Kingdom(U.K). But now Qmee is available for all countries by my trick. I'm from India and i will show you qmee working well in my country for me. I'm here to teach you this trick step by step. Yes, Qmee is now available outside USA and UK. Run Qmee from any country or at any country. Qmee is available for almost all countries that are India, China, Russia, Germany, France, Australia, Saudi Arabia, Pakistan, United Arab Emirates(dubai), Italy, Singapore, Thailand, Malaysia, Africa, Mexico, Canada, New Zealand, Spain, Egypt, Ireland, Scotland, Indonesia and many more countries. Is Qmee works in India yes it works, Just follow these simple steps. 3. Now go to www.qmee.com and click on "Sign Up" . 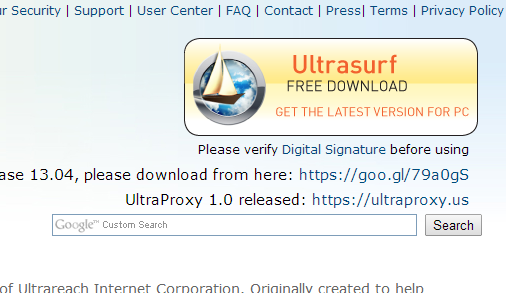 There you will find that it is only available for USA or UK, but don't worry(you are currently connected to USA IP because of that software) just put your email address and click on Register. 5. 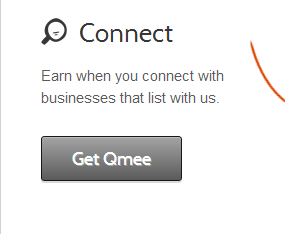 Now you are successfully created your qmee account. Go to www.qmee.com and log in to your account and click on "Get Qmee" and a extension will be install on your browser. 6. Now you are able to see qmee ads on your browser and you will be paid for clicking on these ads. 7. Your qmee account will be credited by thses clicks and you can see here my account i earned $1.56 in one day. It is important to note that not every search will generate Ads. It depends on your specific searches and how valued you are as a Qmee user. I will explain this later on. They say you can earn from cents up to $1 or £1. It is very rare to find this amount as the maximum I have seen so far was 16p. However, the average is around 8p per Ad. If you came to this review hoping Qmee would help with your bills, I think you will be frustrated as I was. The Ads don’t show up very frequently and my advice is that you shouldn’t perform 100 searches a day just for the sake of getting ads! It will be a complete waste of time! Here is the thing, companies are paying Qmee to advertise their products and they know exactly how you interact with the company’s website. Therefore, a statistic will be created based on know how long you stay on their pages and what you click on. If they see you always quit quickly from the product’s offer, it is a god indication that you are not a potential customer! What happen’s next is that they will reduce the number of Ads to you. So what are you waiting for? Sign up now at https://www.qmee.com even if you are outside US and UK.